Berliner Wein Trophy 2015. Golden Medals. 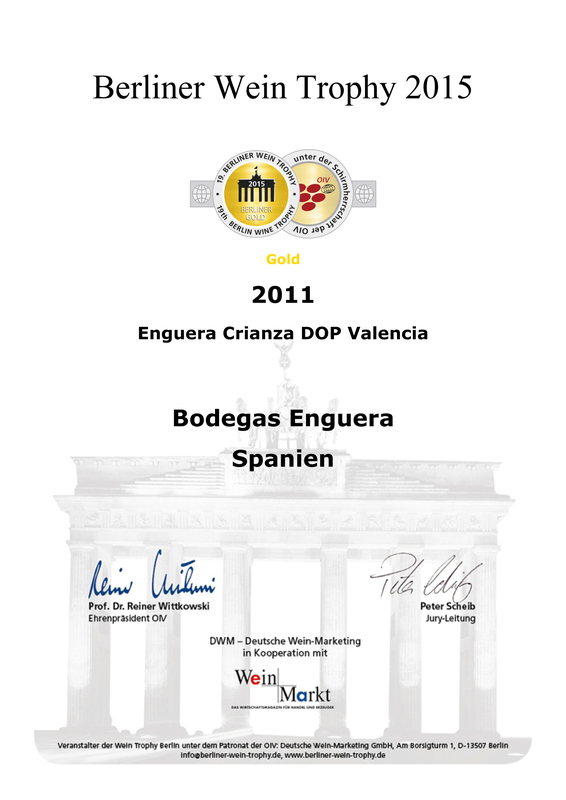 Hemos recibidodos nuevas medallas de oro en el Berliner Wein Trophy 2015. 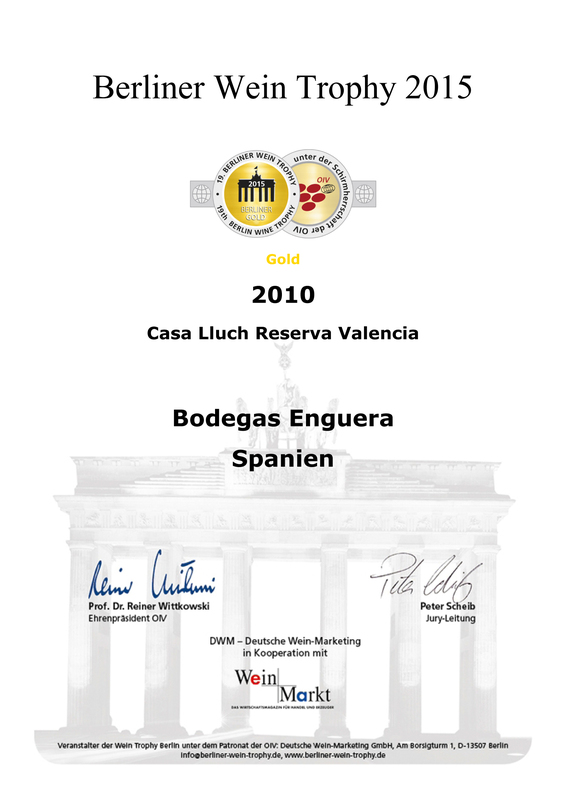 Una ha sido para nuestro Enguera Crianza 2011 y la segunda para nuestro Casa Lluch Reserva 2010. Este año se está convirtiendo en un período de reconocimiento a nuestra labor. We have been awarded with 2 new Golden Medals in Berliner Wein Trophy 2015. Enguera Crianza 2011 and Casa Lluch Reserva 2010 have been selected as two great wines in this competition. 2015 is becoming a fullfilling year, with many awards for our wines! This entry was posted on 16 abril 2015 at 10:59 am and is filed under Uncategorized. You can follow any responses to this entry through the RSS 2.0 feed. Responses are currently closed, but you can trackback from your own site.